BOYS' LIFE is Howard Korder’s Pulitzer Prize nominated 1980s comedy about the misadventures of three New York City post-college buddies as they haplessly navigate friendship, life, and the women in their lives. Brendan Brandt, Maggie Contreras, Romy Cutler-Lengyel, Kasey Dailey, Laura Garland, Brendan Gill, Ally Gordon, Noah James, Jeff Kongs, Kate Parkin, Chelsea Povall, Ioanna Meli, Carly Waldman. First produced in the late 1980s, Howard Korder's "Boys' Life" garnered a Pulitzer nomination for its portrait of three disaffected young urban men on the prowl for women. Jack Stehlin, director of the play's current production at the Asylum Theatre, originated the role of Jack -- the most brutally cynical of the trio -- in an earlier one-act that Korder later incorporated into his full-length play. Stehlin's enduring affinity for the material is evident in his crisply paced and thoughtful staging. Unfortunately, Korder couldn't have anticipated the rampant rise of the "bro" culture, or the flagrant female objectification across all formats, from stage to screen to kiddie beauty pageants. In short, what may have been sociologically incisive some 30 years ago seems a bit toothless today. Still, Stehlin redresses many of the play's shortcomings in this production, which may lack a certain bite, but which still nibbles the funny bone -- and takes an occasional nip at the heartstrings as well. The women in the show -- all excellent here -- have been double cast. The men remain the same throughout the run. Brendan Brandt's lonely, whiny Phil is comically clueless, as is Noah James' Don, who yearns for emotional connection but just can't summon the words. Jeff Kongs plays Jack, the king womanizer -- and, ironically, the sole married man among these post-collegiate sad sacks, whose raw need -- and scathing contempt -- for women is both telling and terrifying. Not to damn with faint praise, but Stehlin has orchestrated the play's frequent scene shifts with the logistical finesse of a field marshal. That may seem a negligible point, but it's really indicative of Stehlin's directorial craft, which is evident on every level of this diverting but slight "Life." 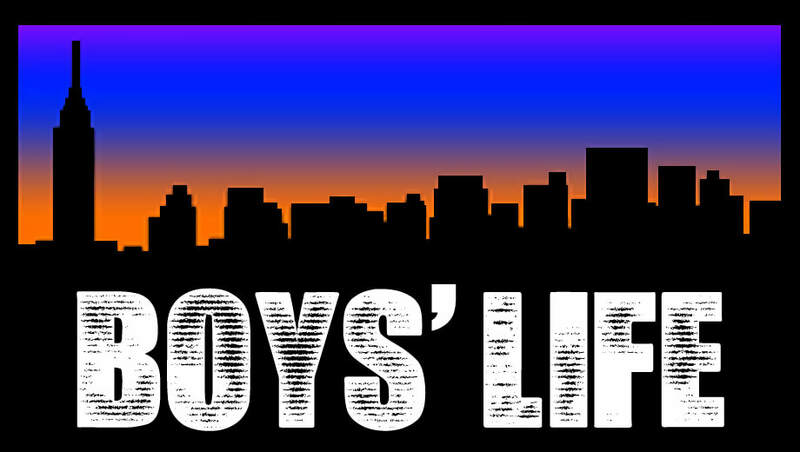 "Boys' Life," the New American Theatre at the Asylum Theatre, 1078 N. Lillian Way, Hollywood. 8 p.m. Fridays and Saturdays. Ends March 7. $18. www.NewAmericanTheatre.com Running time: 1 hour, 30 minutes.